In Taijiquan and Chinese medicine there is no more fundamental question than, what is qi? Virtually all of the theories and methodologies employed in the course of Chinese medical interventions, from acupuncture to herbal medicine to massage and qi gong, focus on manipulating and influencing a individual's qi. In Taijiquan we practice accumulating qi and refining qi. So what is it? The question is important, but straightforward answers are seldom easy to come by. This brief description is meant to be a start, a finger pointing a direction for the exploring mind to travel. The meaningful answers come to those who actually make the journey. Qi has been frequently translated into English as "energy." But this is a poor choice to be nominated as an equivalent for qi. The meanings of energy in English are too varied and often vague to serve as a translation for the similarly varied and vague meanings and usages of qi in Chinese. With so many vague and varied meanings on both sides of the translational divide, the results are often sheer confusion. The core meanings of qi can be conveyed by four English words: connectivity, communication, change, and movement. Note that each of these words is an abstract noun, i.e., the name of something that does not exist except as a property of concrete things. This reflects a widespread consensus that qi is a property, aspect, or consequence of behavioral dynamics of material, concrete things. Qi as a term emerges from the roots of Chinese philosophy in the observation and consideration of natural phenomena. Qi is a brief way of saying that the world is constructed of the ever-changing dance of yin and yang. Yin and yang are the dancers; qi is the dance. Yin and Yang describe the phenomena associated with the appearance of light and shadow in the world and suggest the implications and paradoxes with which these phenomena present us. Dao, which literally means "pathway" or "road," serves as a term to signify the awareness that all things share a common origin. Early Daoist writers pointed out that is why paradoxically they diverge in shape, name, and position in time and space, and thus appear as a multiplicity to our senses. Taiji, Yin and Yang, Qi, and Dao all share and ultimately refer to a single meaning. This is not to say that each term does not have its own special meaning and particular usages. Each certainly does. But each essentially means the same thing: The only universal constant is change, and change takes place as a result of and through the most fundamental medium of yin and yang. The force and fact of this pattern is qi. The sum total of the activities of qi is called Dao. The manifest oneness of these is a compelling feature of the whole approach to knowledge that we know as Chinese native philosophy, especially Daoism. In other words, qi is a term that emerges from the ancient quest to understand the origins of the universe as it was made manifest over thousands of years in China by the Chinese. In the terms of one account from Chinese folklore, the world comes from a giant egg that contained two things. One was a giant named Pan Gu, the other was a substance named "original qi." This "substance" is best described as yin and yang in an undifferentiated state of existence. Shown in the accompanying illustration is an early version of the Taiji diagram, the chart of yin and yang. Imagine how it would appear if the black and the white were merged into a single graphic form and substance. The result would be a illustration of original qi. From these humble folk beginnings, thinkers and writers cultivated the concept of qi for countless centuries. One of the most famous Daoists of the Warring States Period, Zhuang Zi, contemplated qi. His conclusion: in all the world there is but one qi. If Master Zhuang is correct, if one qi permeates the entire universe, then everything in the universe is interconnected by this single qi. In other words, a single unifying qi connects everything that is or was or will be. It is in recognition of the primacy of this character of qi that I have chosen the English word connectivity as the first equivalent for qi. That there is a connection between any and all objects, artifacts, phenomena, and interactions between them, in the whole universe is expressed in the ancient Chinese word qi. We exemplify this connective potential of qi when we speak of points lying along the channel pathways on the surface of the body that bear names and associations with internal organ systems. Qi courses its particular travels through the body each day as it busies itself with its cosmic task of connecting each and every place in the body to each and every other place. 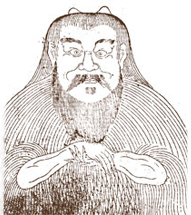 In Chinese medicine the fundamental treatment strategy could be described as discovering where the body's patterns of interconnection have been disrupted and acting (as through acupuncture, massage, medicinal herbs or other means) to reestablish normative connections and patterns of connectivity. This connectivity begins and ends with breathing. In Chinese qi means many things, among them, air and breath. The atmosphere is known simply as the big qi. Therefore qi is all about breathing and the breath that, while passing in and out of our lungs, connects us with the great qi in which we exist. When that ceases life has ceased to be in your body. Breath might be considered as the first and last definition of qi, except this one English word, "breath," tells us little more about the other implications and innuendos on the concept of qi. We find four words that when taken together and summed up with connectivity construct a sense of the ancient essence of the word, qi. The four additional words are communication, change, movement, and rhythm. 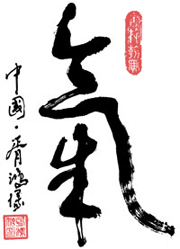 The Chinese word qi implies that all things seek to express their common origin and destiny with all other things. Moreover, all things must engage in this communication of their common urges in order for living systems to exist and survive. In the human body, the lungs and the heart must intercommunicate or they, along with the whole body and the person, die. This pattern of observation and description of the structures and operations of the body and mind is refined further in the texts and teachings of Taijiquan. Here qi is also the primary concern. What is the proper use of the body? The mind commands, the muscles and bones obey. How do we move the body in Taijiquan? The mind moves the qi, the qi moves the body. And this communication of body, mind and qi is governed by and results in the vitality of the spirit. The most basic notion in ancient Chinese thought is change. The oldest of the old Chinese books is the Book of Changes (I Ching). The Book of Changes records the blueprint for a universe constructed on these few principles: Everything always changes, and change is therefore the only universal constant. This change manifests in and from a fundamental pattern of vibration or flow, back and forth, between yin and yang, the two primordial powers. The word that describes this basic pattern of change is qi. One of the primary characteristics of the physical universe is that nothing ever stops moving. To do so would result in that thing having a temperature of absolute zero. In our meditations, and in the meditative practice of Taijiquan, we seek and even achieve stillness in movement. How? It is all a matter of qi. For what is moving that keeps any and everything in the world and in the universe in which the world exists above absolute zero? It is qi. The ancient classics of Chinese astronomy mention that the universe comes into existence when the void begins to vibrate. This most fundamental movement is conserved until the present and is known by just one word: qi. Qi is that which...it is the fact that...all things, events, phenomena interconnect, intercommunicate, interchange and move. It is the medium of change from the most fundamental, proto-typical aspects of the universe to the whole throbbing mass of universal emptiness. That the world is constructed from the ceaseless dance of yin and yang is described in this single Chinese word: qi. Where there is qi there is life. Where the qi does not penetrate, life ceases. How do we come to know these things? Only through direct personal experience. Perhaps beyond the great importance of knowing what qi is lies an even more essential question: what do you do with qi? In fact, the discovery and understanding of qi opens up a whole world of exploration and investigation. This is the path of self-cultivation that has been followed for thousands of years. Perhaps reading these few words about qi, you can decide whether or not it is a suitable path for you. For the practitioner of Chinese medicine, acupuncture, herbal medicine, massage, etc. 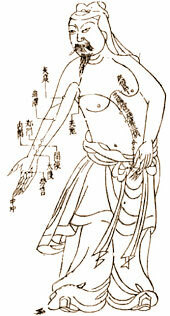 done according to ancient Chinese models and theories, the proper understanding of qi is central. If we think of qi as energy, for example, then when a patient has the signs of qi deficiency, we should fill him or her up with energy. But what does that mean? Practically speaking, there is little anyone can do to accomplish this. But if we look at the same individual as having a lack or absence of connectivity, suffering from disrupted communications, obstructed changes, and inhibited movement, then the door to effective intervention opens widely. Need more qi? Find the disconnected parts that need and want to be connected and reconnect them. Discover what one part of the body needs to communicate with the others and do what you can to facilitate the exchange. See what needs to change, find what has ceased to change and restore its capacity to change. Feel the restricted movement and move it. The qi will flourish. You will be on your way. In discussions with Elisabeth Rochat I mentioned that along with "communication," "change," and "motion," the English word "connectivity" is perhaps the best choice to translate the word qi. She replied, " I would say that you have omitted an important notion — Rhythm." It is the rhythm of qi, the pace and quality of the timing of the endless and eternal changes of yin and yang that result in what we know and call and experience as qi. At least that is more or less how she put it. She was right: the ancient Chinese writers who employed qi and its various associations and allied concepts and constructs were most definitely concerned with the rhythm of nature's changes. Their minds moved towards a set of sensibilities about the nature of phenomena and of our awareness of phenomena that was deeply informed if not set in motion by an underlying sense of rhythm. The thinking and the ideas and therefore the theories and practices that come from and utilize the sensibilities and paradigms of qi are all subsequent to and dependent upon the feeling of the rhythms of perception and awareness and, ultimately, the light and the darkness, that defined the experience of those ancient minds that coined and used the word for the very purpose of conveying their insights into the nature of reality to their descendants. And indeed even the great movement of life and death came to be subsumed in this same sensibility of the rhythm of qi. Editor's note: This entry originally titled "The Fundamental Question: What is Qi?" appeared in Qi: The Journal of Traditional Eastern Health & Fitness (Qi Journal) Vol. 17. No. 2: Summer 2007. 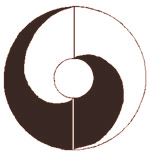 For a lengthier discussion of how qi is used in Chinese language and culture from ancient times to the present see Zhang Hu Yuan and Ken Rose A Brief History of Qi. . Paradigm Publications, 1999.